What bartenders do you use? 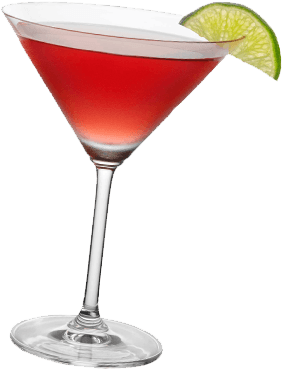 All our cocktail bartenders are fully trained in the art of cocktail making and have at least 5 years of bar experience. All our bartenders have their bar certificates and are fully insured. Our cocktail team have also been selected for their experience within the entertainment and catering industry. Several of our bartenders are also skilled in the art of “flairing” so don’t be surprised if you see the odd trick pulled out from time to time. Our prices are structured according to the menu you select. These prices are based on 5 cocktails per person and a minimum of 8 persons. We have no hidden charges and never will have. We are able to offer our full services in the Glasgow and Edinburgh areas and within a 60 miles radius of both cities. If your party falls outside this distance please contact us and we can discuss alternative options. Do you use quality brands of alcohol and fresh ingredients? 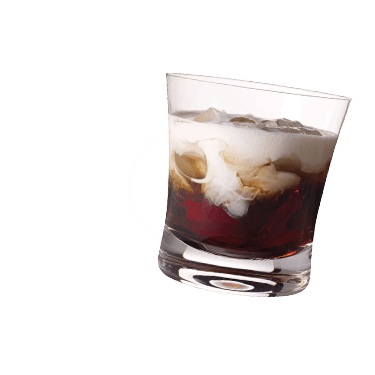 Social and Cocktail delivers quality in everything we do, particularly in the quality of our cocktails, and our cocktail bartenders only use the best brands for spirits and liqueurs, such as Bacardi, Chambord, Hendricks, Smirnoff, Frangelica, Cointreau and Absolut. We also only use seasonal fruit and other fresh ingredients. How do you know how many cocktails have been served? We have a very simple token service, where Social and Cocktail branded tokens are handed out at the start of the night by our cocktail bartenders and during the night cocktails are exchanged for these tokens. If you would prefer the bartenders to just keep a tally of the cocktails served, this is also an option. How long does the cocktail bartender(s) stay for? The standard amount of time is 3 – 4 hours, but we are flexible in this area. What happens if you want more cocktails? We offer a Golden Token which is paid for in advance. If all tokens have been used and there is still a demand for cocktails, this Golden Token can be exchanged for a further 12 cocktails. If it is not used, a refund is sent straight back into your account the next day. 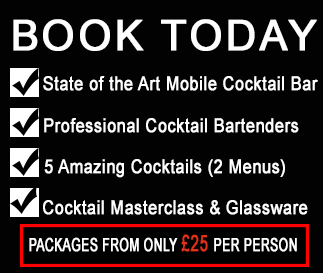 What is the minimum number of people for a Social and Cocktail package? The minimum number is 10 guests. Do I need to show some ID to be served alcoholic drinks? Please note that we can only serve alcohol to over 18s. If you are lucky enough to look under 25 you will be asked to prove that you are aged 18 or over when attending a Social and Cocktail Event. To avoid disappointment, please ensure that you bring either a Password or Photocard Driving Licence along to the event. Why choose Social and Cocktail Events? In the last year the Social and Cocktail website has become the fastest growing cocktail website in the UK, offering a range of high quality bar reviews, cocktail recipes and a daily blog all about the people, products and innovations that make the UK cocktail scene one of the best in the world. We have decided to take our passion for cocktails into your home by teaming up with some of the best cocktail bartenders in Scotland to help you create the best cocktail party imaginable. We use only the best equipment, products and ingredients and we guarantee to help you host the greatest cocktail party of your life.